In"Classroom Habitudes : Teaching Habits and Attitudes for 21st Century Learning" Angela Maiers dissects the concept of 21st century learning and shows teachers how they can help their students cultivate pivotal learning skills such as critical thinking, collaboration, problem-solving, and adapting to change across new learning contexts.In doing so, Angela focuses on six key areas integral to cultivating these skills and calls them habitudes. 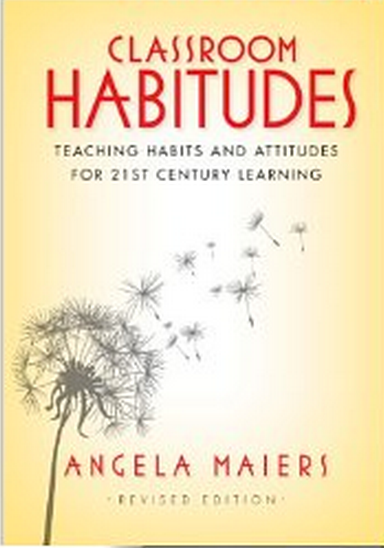 Maiers argues that these seven habitudes are essential for effective learning to take place. She further dubs them important behaviours for improving student's performance in school and beyond school.
" The habitudes enable students to become critical, creative, and strategic learners. With these characteristics, students' ability to think for themselves is enhanced, and they will have experiences that foster endurance, fortitude, and courage- attributes that will sustain them as they advance through school and life." This book is a perfect read for the upcoming school break.